Although we are living in the digital age, it seems like homeowners have gotten busier rather than having that long-hoped-for extra time on their hands. This may be one of the reasons why more homes around the country don’t have the beautiful gardens they once had, but there is a solution, even for those who have little to no time for gardening. Here are four tips for creating a low-maintenance, high endurance garden that requires little upkeep but offers plenty of enjoyment. How many times have you come home from work to find the grass on your lawn has grown almost knee high, seemingly overnight? While you should get out the mower, you are drained of energy and you think to yourself that “Tomorrow is another day.” Unfortunately, tomorrow quickly carries over to the day after, and so it goes until your lawn and garden is so overgrown that you spend hours hacking away at it before you can even attempt to mow it down. To avoid this problem, many homes have begun creating rock gardens that require little maintenance, and if done right with plastic sheeting under the rocks, you will have few weeds to contend with. While paving stones are quite lovely and add a touch of the elegance of days gone by, weeds and grass often grow up in the areas surrounding the stones. This just adds to the work which must be done. At the best of times, no one likes to contend with weeds, but when your time is already at a premium, you could do without this hassle. Have you thought about the lovely texture and high functionality of decomposed granite? This makes a wonderful surface which is permeable so that rainwater will seep through rather than pooling after a particularly heavy rain shower. It only takes decomposed granite stabilizer to hold the shape of the granite, and as the stabilizer doesn’t affect the permeability, you have a low-maintenance path or drive. When it comes to mowing the lawn, those slopes around the perimeter of your home or property can be a royal pain to mow. It’s difficult enough to manage the mower on level ground when you are already worn out, but on slopes you may just throw in the towel. 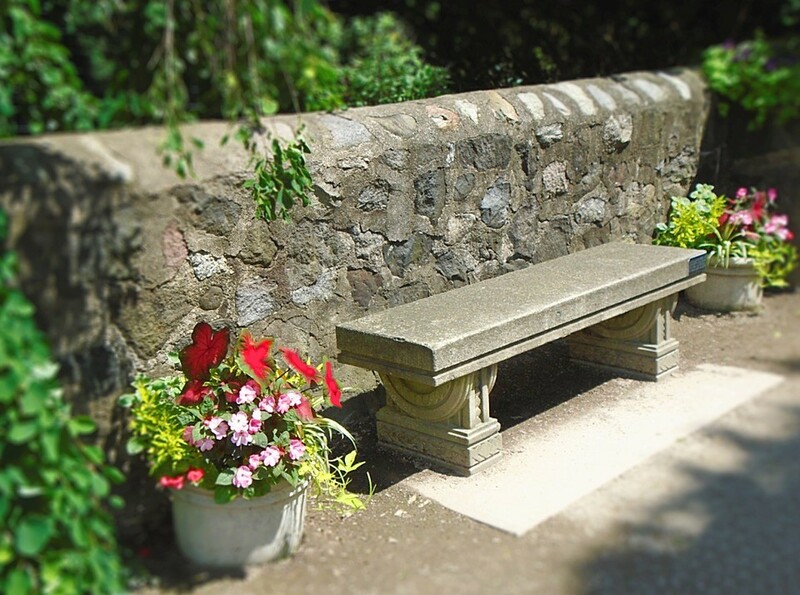 Many homeowners have taken care of this problem with retaining walls that are both functional and decorative. Again, use heavy duty gardening plastic underneath and you won’t be bothered by weeds. If you want a low-maintenance garden, succulents are a must. They can go extremely long periods of time without being watered and will grow up nicely through the rocks in your rock garden. After the plastic sheeting is laid, add a few inches of soil (cactus soil is recommended). Then lay the rocks. When all is done, you can use a hand rake to gently move a few rocks aside, plant the succulents, gently replace the rocks around the plant and let nature take its course. As a final tip on succulents, just don’t think you are neglecting them and water them too often. They also need to have good drainage and will get root rot easily if kept too moist. It’s actually easier than you thought it would be to create a lovely yet low-maintenance lawn and garden.